Go to the online registration (click below). You will fill out your information and pay with a credit card online. If you want to upgrade to a motel, the cost will be $50 more than a cabin. Two people per room. You can request a roommate, but we cannot make any guarantees. Your roommate must register and pay separately. Sorry, we cannot hold rooms without payment. LIMITED AVAILABILITY! First come, first served. Print your ticket, or save it on your phone. 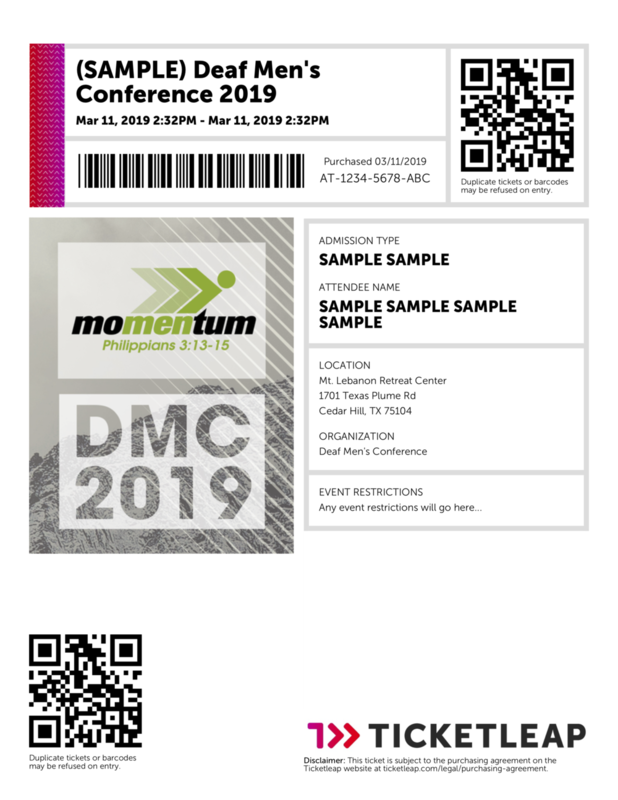 Make sure you bring the ticket with you to registration at DMC. We will scan your ticket to check you in.